Last year, Interculturalist LLC, began development of its publishing division. We're proud to say that we are also now a publishing house. We're also proud to reveal our first book: Bonbon Sphere: The Internal World of Catherine Bonbon by Yumi Okano. 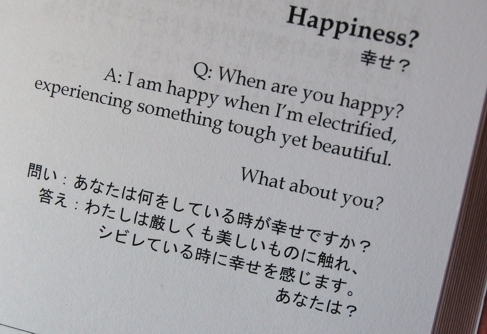 It is a book about Otokomae, a Japanese concept about being true to yourself and being the fullest you that you can be. The reader learns about Otokomae through the character of Catherine Bonbon. The essence of Catherine's message is simple because it is about being true to yourself. But it's also complex because it is about being a positive impact in the world we create for ourselves. The beauty of Catherine Bonbon's message is in her imperfection and her honest acceptance that she is not perfect. She knows that humanity is never perfect. She knows that we never achieve perfection. We struggle, fail, get back up, and become a little stronger and creative each time. This is Otokomae. Prepare to be inspired. Click here to visit Interculturalist's online store to purchase.